If you follow day to day grout cleaning routine and you notice that your grout – the substance holding your shower tile or floor tile in place is cracking. So, you need to regrout the gap to protect your tiles. All pro carpet care, we specialize in grout care, cleaning, and replacement. With an experience, we have observed the most important reasons for using re-grouting services. you are looking for tile and grout services, feel free to contact the expert at All Pro Carpet Care. we can solve the issues with grout and ensure your kitchen, bathroom or tiled surface will continue looking stunning for years to come. Just about all grout, you need to repair or replace it at some point. 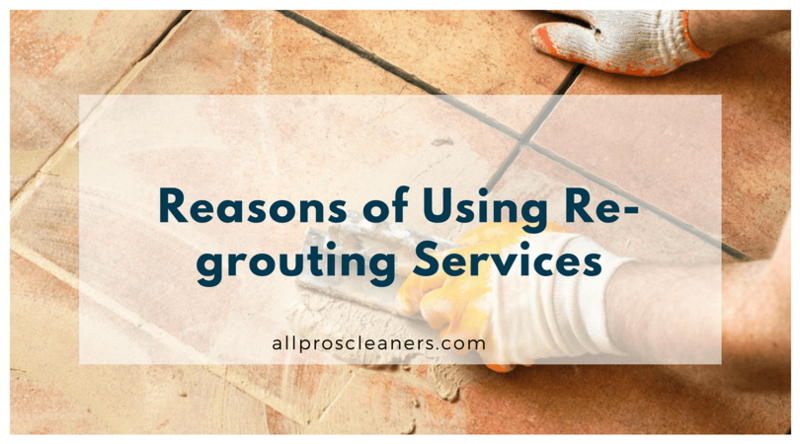 But there are a few reasons why some grout breaks down more quickly. Grouts are useful to fill the gaps between the tiles and they are the type of lightweight concrete. It permits the tiles to stay in a place and protects it from penetration of water and dirt beneath tiles. New grout is manufactured with polymers to help to prevent cracking. However, older grout was made from sand cement that is prone to cracking over time. If you live in an older home, it’s likely this older form of grout was used. Which makes it more susceptible to damage and also an important reason for using re-grouting Services. However, some of the grout is premixed, other forms come in a powder which you need to mix with water before applying the same on joints between tiles. Unskilled workers may add excessive water or less water; they might not mix the compound properly, leaving lumps or they might not use the right tools or apply enough grout in the grooves. Mistakes in grout mixing such as these can result in cracked or crumbling grout. If the grout installed properly it will remain feasible for years. Though, it is a porous material that eventually breaks down. As time passes, water, mold, dirt, and mildew make their way into the microscopic holes, affecting the grout to crack and crumble out of the tile. Many of them damage their grout unknowingly while trying to take care of it. Applying bleach, vinegar or other chemicals in an attempt to clean the grout, they end up doing more damage than good. Acidic chemicals disrupt the bond in the grout’s components and over time because it degrades and wears away. Don’t try cleaning grout yourself, you know the reason very well, right? You can contact All Pro Carpet Care to get the best services. All Pro Carpet Care specializes in repairing or replacing grout and tile to make it beautiful as before. Events such as flood, earthquake or plumbing accidents are a much more obvious cause of grout damage. A huge amount of water residing on the floor for a long period of time and also developing a threat to the grouts, as the moisture seeping into the grouts will ruin it quickly. Whatever has caused your grout to crack or degrade, it’s ideal to respond to the problem now before it gets worse. A hairline crack can absorb water and dirt which end up with a huge problem. Call and get a free estimate on tile regrouting services. Give us a call at 661-747-4441 today and get the best services at the best price. Are you an animal lover? If yes then certainly you would love to have a pet or you might have one at home. The fact cannot be denied that raising pets also have many responsibilities. This little furry can occur mishaps on the floors, the bed, or even on your clothes. It’s vital to clean the stains and remove the odor from the targeted location. For the reason that your furry friend can become a repeat offender if the odor stays back. This is because the odor of old pee will attract your pet and it will urinate in the same area again and again. Nowadays people think blotting the affected area with a paper is enough. Actually, it needs extra attention or else you may regret it in the future. What should you do when you locate a spill? Firstly, stay calm but respond to the spills rapidly. Responding quickly to stain will restrict the liquid to penetrate deep inside. If it is hard surface and left for drying it will make the situation worse. Besides that, you will find more difficult to clean it. Soak the urine as much as possible using paper towels. Once you’ve done with the blotting of the area, spray the stain with an enzyme-based cleaner using a spray bottle. Enzymes are the ideal choice because it breaks the acid in the urine down into carbon dioxide and ammonia gases that easily evaporates evicting the smell. Besides that, non-toxic enzymes cleaners are easily available at the pet stores. You can go with a home solution to, take a vinegar solution (1-part vinegar and 1 part of water) and wipe it off. Soak the area with the spray and leave it at least for 10 minutes, until the solution is absorbed. Then blot the excess residue using a paper towel and leave to dry. When the area becomes completely dry sprinkle some sodium bicarbonate across the stain and leave for 24 hours. Baking soda acts as a sanitizer and pulls out any left-out smell. For carpet, you should vacuum the area to remove any remaining powder and you can also spray some scent to have a nice fresh smelling air in your room. This same procedure can be used for mattress, carpet, floor, upholstery etc. Never use a hair dryer or steam cleaner to dry the affected area, as it will help the liquid and stain to enter deep into the fibers and smell it badly later. This includes upholstery and clothing – keep wash settings on cool and air dry. Never use the regular soap or carpet wash to clean the area after applying an enzyme cleaner or the homemade cleaner (vinegar), as it will deactivate the neutralization process. All I want to say the smell will remain. Never clean the area with ammonia-based cleaners, as the smell will attract your furry friend to re-target the area. If your carpet or upholstery is in bad condition, it’s better you call a professional carpet cleaner and ask them to focus more on the area of concern, so they know to take prior precautions before cleaning. 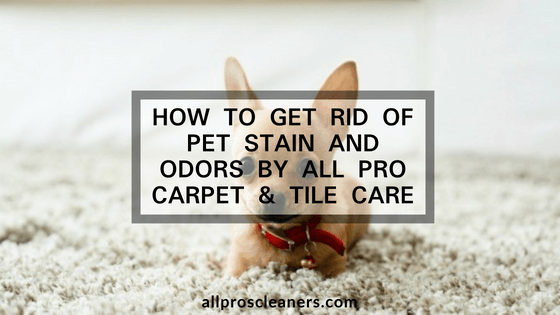 How to clean pet urine from clothes? If your pet urinates on clothing by mistake or anything else which can be washed in washing machine. Don’t worry just rinse the area well under cold water. Then put the fabric into the washing machine with the setting kept cold, and add detergent and a cup of baking soda. If still the odor remains, repeat the process but this time add a cup of apple vinegar to the cycle and spray it directly on to the stain before putting again to wash. As we said before, always air dry does not use steamer or dryer, as both will lock in the smell. Now you are aware of the tips and tricks to clean pet urine, so don’t worry about the spills go and enjoy with your furry friend. If you are looking for odor or stain removal, you can contact All Pro Carpet and Tile Care. We have become a popular choice for residential and commercial owners in Bakersfield. We provide odor and stain removal services in Bakersfield and nearby areas. Furthermore, we also provide other cleaning services like carpet cleaning, upholstery cleaning, tile and grout cleaning, power washing, commercial cleaning, and rug cleaning. Call us today at 661-747-4441 to avail our best offers and services. Common Cleaning Mistakes You Need to Avoid! After making common cleaning mistakes everyone feels guilty. 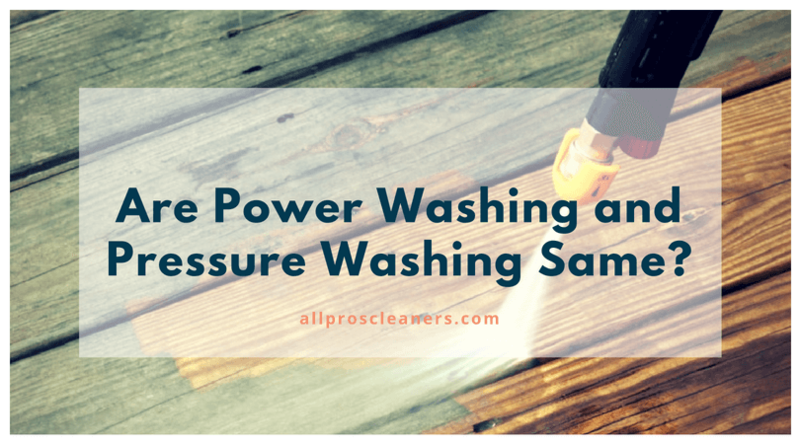 Some of these mistakes may appear simple or even silly, but they not only add hours to our cleaning time, but they also render our cleaning effort lacking and ineffective. 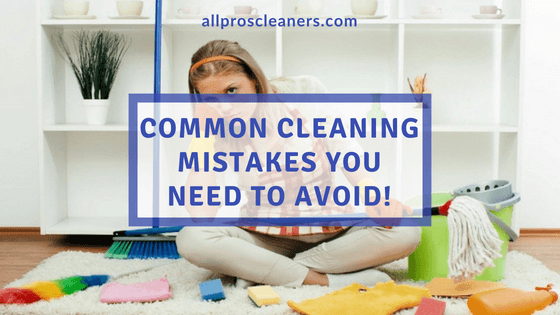 It is important to learn from our mistakes that is why; I will present to you some common cleaning mistakes that you need to avoid. Let us face it; bleach has been a household staple long before many of us were born. However, advancements in technology have branded bleach as not very effective at cleaning. Add the harsh chemicals in bleach that can cause damage to the house and you have a very good argument to skip bleach on your next spring-cleaning. Look to the internet for natural/green cleaning solutions that you can make on your own. You save money while saving the environment. The lazy inner voice in us will fool us into thinking that harsher cleaning products will cut our cleaning time dramatically so we obey. The thing is that most cleaning scenarios can be addressed using natural DIY cleaning solutions that are safe. Alternatively, go with milder products that are environmentally friendly. Too much cleaning product is a common mistake. Imagine having to wash a load of clothes and you put in too much detergent, so you need to wash the clothes more, not only to remove the dirt but also the excess detergent. Paper towels are very handy in the kitchen, but using too much becomes ridiculous as it adds quite a chunk of your household budget. Therefore, if you have old white shirts you do not use anymore repurpose them and cut them into tiny towels, which you can reuse over and over again. Not only you save money but you will also be more environmentally friendly. This seems like a no-brainer that we have all been guilty of. It is just logical not to wipe a stove top with an already soiled cloth, right. This practice will not only be ineffective, but you also risk cross-contamination by spreading germs and bacteria. Clean your tools after using, to avoid it of dirt, germs, and bacteria and ready for the next cleaning job. Mentally, it is tougher to wash a huge pile of dishes, but it can also prove to be more difficult physically. Hand washes dishes as soon as you can and avoid the pileup. A few seconds here and there is a lot easier than a stack of messy dishes. Not reading the label on the products we use is a surefire way to make a cleaning fail. The manufacturers will have recommendations on how to use the product, how much you need, and where to use it. Therefore, if it says a cup of detergent for a load of clothes do not be an over smart and just follow the instructions. Do the same with cleaning tools; follow the manufacturer’s instructions to prevent electrocution, injury or worse. Raise your hand; I know you are guilty of this also. Whether it be old remembrances from a wedding you attended years ago or old issues of magazines you have lying around, these things can add up quickly and take up considerable space in our homes. You can start with the fridge and dispose of expired food items, old cooking utensils from your kitchen to heavily outdated clothes in the wardrobe. Go through the entire house and be firm in disposing items you do not use or have any need of anymore. These are just, some common cleaning mistakes which we have committed at least once in our lives. Let us just learn from our mistakes so we can clean the house more efficiently. Getting bored of doing the cleaning with your own, then you need to hire a professional cleaning company. All Pro Carpet & Tile Care provides cleaning services in Bakersfield and nearby areas. Call today 661-747-4441 and get your carpets cleaned.